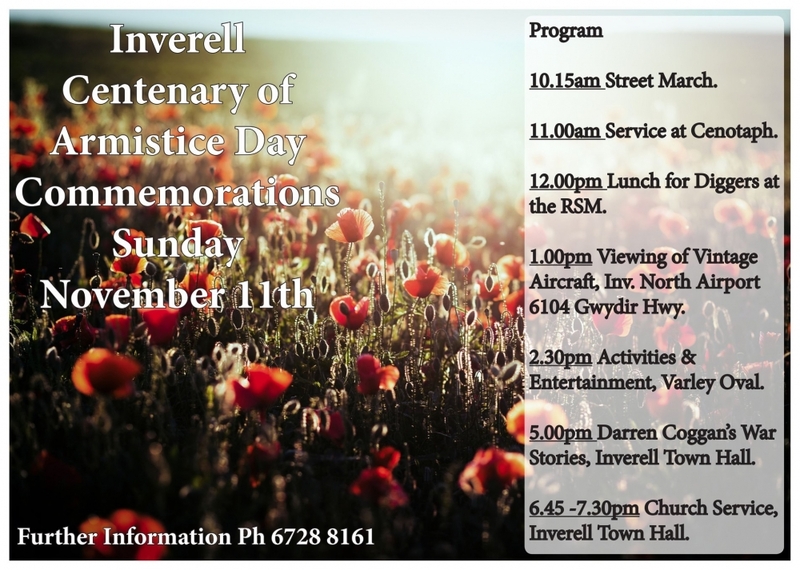 On Sunday 11 November 2018, Inverell will mark the Centenary of Armistice signed 100 years ago. At Varley Oval, the Kurrajong Re-enactment Committee will display soldier profiles and re-create a field of red poppies with locally made flowers. 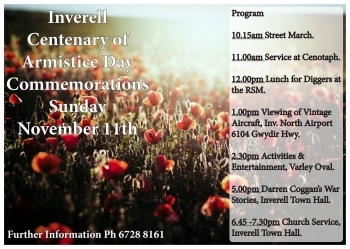 Everyone is invited to attend this day of remembrance which will conclude with a concert and service at the Town Hall.